“Closed? !” wrote Eater Kate Leroux — shocked to find 5 Corner Market & Kitchen in Ballard, successor to Lombardi’s, shuttered last week. “Do you have any info on what happened?” It didn’t take long for jaws to drop when that news got around: What had sounded like a promising restaurant had packed it in only four months after its December debut. The original Lombardi’s Italian restaurant (now with locations in Everett and Issaquah) lived here for 23 years. The short-lived 5 Corner Market opened in December and closed last week. This week, 5 Corner owner Steve Hayter, quoted in a press release, said in that brief missive “the concept received an enthusiastic reception in Ballard, but there ultimately wasn’t enough patronage to sustain the business. I wish the next tenant the best of luck,” he said, noting, “I would like to thank those who supported us along the way.” There will be no further comment at this time, added his publicist. Nor later, as I found after attempting to speak directly to him. So, why the fast farewell, and what’s next for this prime corner spot? 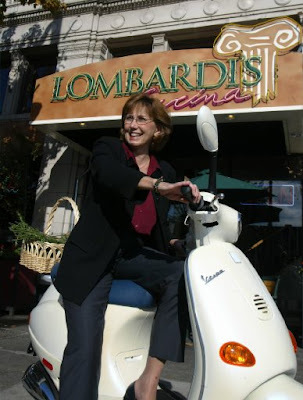 “We’ve gotten a lot of email and calls from guests of our Ballard restaurant asking if we were going to come back,” said Diane Symms, founder of Lombardi’s, who has ceded the management to her daughter Kerri Lonergan after closing her flagship in October. Their answer? “No, we’re not coming back to Ballard,” said Symms. The 125-seat restaurant and bar is currently listed for sale. This is a particularly quick-flip for Ballard, which has seen many successful openings in the past year from industry longtimers — among them Ethan Stowell’s Staple & Fancy, Renee Erickson’s Walrus and the Carpenter and Maria Hines’ Golden Beetle. Hayter’s professional biography cites 40 years in the hospitality business, encompassing lengthy management stints and concept and development work at Restaurants Unlimited, much of that during RUI’s heyday as a local restaurant group with a growing national presence. He was later recruited by the Minneapolis-based Leeann Chin, Inc., running food operations for 28 units. 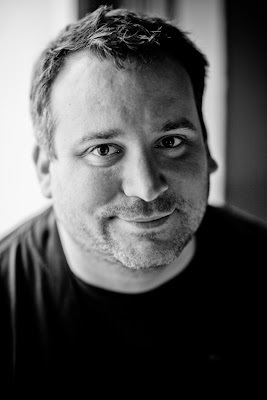 For the better part of the past decade, Hayter worked for Seattle’s Best Coffee as a corporate manager and food and beverage developer, before buying and re-envisioning Lombardi’s as a Ballard gastropub. Crannell is looking for a job while contemplating opening a restaurant of his own. He and a partner have a completed business plan and concept, he said, and they’ve got their eye on Pioneer Square.